Researchers at the The New York Stem Cell Foundation (NYSCF) Research Institute in collaboration with scientists at the Icahn School of Medicine at Mount Sinai (ISMMS) have successfully generated a stem cell model of familial Alzheimer's disease (FAD). Using this stem cell model, researchers identified fourteen genes that may be implicated in the disease and one gene in particular that shows the importance that inflammation may play in the brain of Alzheimer's patients. The research team produced stem cells and neural precursor cells (NPCs), representing early neural progenitor cells that build the brain, from patients with severe early-onset AD with mutations in the Presenilin 1 (PSEN1) gene. These NPCs had elevated Abeta42/Abeta40 ratios, indicating elevation of the form of amyloid found in the brains of Alzheimer's patients. These levels were greater than those in adult cells that did not have the PSEN1mutation. This elevated ratio showed that these NPCs grown in the petri dish were accurately reflecting the cells in the brains of FAD patients. "Our ability to accurately recapitulate the disease in the petri dish is an important advance for this disease. These genes provide us with new targets to help elucidate the cause of sporadic forms of the disease as well provide targets for the discovery of new drugs." said Susan L. Solomon, Chief Executive Officer of The New York Stem Cell Foundation. "The gene expression profile from Noggle's familial Alzheimer's stem cells points to inflammation which is especially exciting because we would not usually associate inflammation with this particular Alzheimer's gene. The greatest breakthroughs come with 'unknown unknowns', that is, things that we don't know now and that we would never discover through standard logic." said Sam Gandy, MD, PhD, Professor of Neurology and Psychiatry and Director of the Center for Cognitive Health at the Icahn School of Medicine at Mount Sinai and a co-author on the study. Gandy is also Associate Director of the NIH-Designated Mount Sinai Alzheimer's Disease Research Center. The researchers generated induced pluripotent stem (iPS) cells from affected and unaffected individuals from two families carrying PSEN1 mutations. After thorough characterization of the NPCs through gene expression profiling and other methods, they identified fourteen genes that behaved differently in PSEN1 NPCs relative to NPCs from individuals without the mutation. Five of these targets also showed differential expression in late onset Alzheimer's disease patients' brains. Therefore, in the PSEN1 iPS cell model, the researchers reconstituted an essential feature in the molecular development of familial Alzheimer's disease. Although the majority of Alzheimer's disease cases are late onset and likely result from a mixture of genetic predisposition and environmental factors, there are genetic forms of the disease that affect patients at much earlier ages. PSEN1 mutations cause the most common form of inherited familial Alzheimer's disease and are one hundred percent penetrant, resulting in all individuals with this mutation getting the disease. The identification of genes that behaved differently in patients with the mutation provides new targets to further study and better understand their effects on the development of Alzheimer's disease. One of these genes, NLRP2, is traditionally thought of as an inflammatory gene. "The fact that the NLRP2 gene is upregulated in these cells is interesting because inflammatory genes have long been implicated in late onset and sporadic forms of the disease. The importance is still unknown, but these cells may provide a platform to understand the function of this gene as well as others that contribute to Alzheimer's disease." said Scott Noggle, PhD, NYSCF -- Charles Evans Senior Research Fellow for Alzheimer's Disease and Director of the New York Stem Cell Foundation (NYSCF)'s laboratory and senior author on the study. 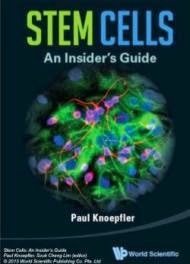 While other groups have recently generated human iPS cells models of Alzheimer's disease with studies primarily focused on familial Alzheimer's disease neurons, none of these studies addressed whether there are any differences between Alzheimer's disease and control neural progenitor cells prior to neuronal differentiation. Studying neural progenitor cells may also reveal developmental components of familial Alzheimer's disease, and are more homogenous than the wide variety of neurons currently produced by differentiation protocols, which allows for better comparisons between controls and disease cells. Dr. Gandy and Dr. Noggle are both members of the Cure Alzheimer's Stem Cell Consortium that supported this research. The Stem Cell Consortium is an international group of scientists that are working together to directly investigate, for the first time, the brain cells from individuals with the common form of Alzheimer's disease. Other members of the Consortium include Kevin Eggan, PhD, of Harvard University, Marc Tessier-Lavigne, PhD, of Rockefeller University, Doo Kim, PhD, of Harvard Medical School, and Tamir Ben-Hur, MD, PhD, of Hadassah University. 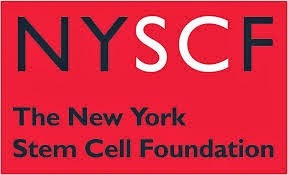 NYSCF stem cell researcher Andrew Sproul, PhD, a staff scientist at the NYSCF Research Institute is the lead author on this study. Samson Jacob of NYSCF, other NYSCF and ISMMS researchers, scientists at Columbia University, and the James J. Peters VA Medical Center also made significant contributions to this study. Familial Alzheimer's disease (FAD) (also known as Early onset Familial Alzheimer's disease) is an uncommon form of Alzheimer's disease that usually strikes earlier in life, defined as before the age of 65 (usually between 50 and 65 years of age, but can be as early as 15) and is inherited in an autosomal dominant fashion, identified by genetics and other characteristics such as the age of onset. It accounts for approximately half the cases of early-onset Alzheimer's disease. Familial AD requires the patient to have at least one first degree relative with a history of AD. Non-familial cases of AD are referred to as "sporadic" AD, where genetic risk factors are minor or unclear. Keep in mind that the disease (Dementia, Alzheimer's disease, etc.) is the culprit to blame for undesirable behaviors, NOT THE PERSON. It will help you provide the compassionate care vital to those suffering from Dementia or Alzheimer's disease. Validate your loved one's very real emotions before redirecting behaviors and avoid responding to nonsensical requests with a resounding "no" can help moderate catastrophic reactions and maintain the elderly patient’s sense of dignity.